Please check the full topic for most up to date revision of this Information!!! So lately there has been a lot of discussion about the reset both amongst staff and members of the server. I am glad people could discuss it and really come up with their own opinions and ideas as to the future of the server. We truely hope to one-up ourselves from last time and deliver a fun experience to new and old members regardless of whether you are for or against the server. Converting means winning! This topic is NOT a flame war, posting anything rude or fighting over opinions is strictly forbidden.  Doing so will result in a temp ban (not on record) from the server during the restart (if it happens) or on the current server for 1 week. This means you would miss out on all the new stuff. New Spawn - We have heard the requests for a new style of spawn and we have decided to move to a new underground spawn. Spawn protection will be quite large to allow for expansion. Portals - We will attempt to pre-render a larger region and have portals / other methods to travel quickly around to look for somewhere new to build. Custom Biomes - Once again we will have custom biomes, including the new nether we introduced recently. Starting Area - As per the old map, the starting 'quiz' with will make a comeback. It will be used to introduce players to the world and rules. While in this area you will not see general chat nor be able to talk. Completion will not be optional. PvP Arenas - We will strive to have PvP arenas setup for launch. Monuments (May be renamed) - Hidden builds of awesome that can be explored and may contain treasure. Keep checking them as they may have new chests randomly throughout time. Enemy Forces - In addition to monuments, we are also hoping to setup small hostile towns and camps around as something for people to come across. 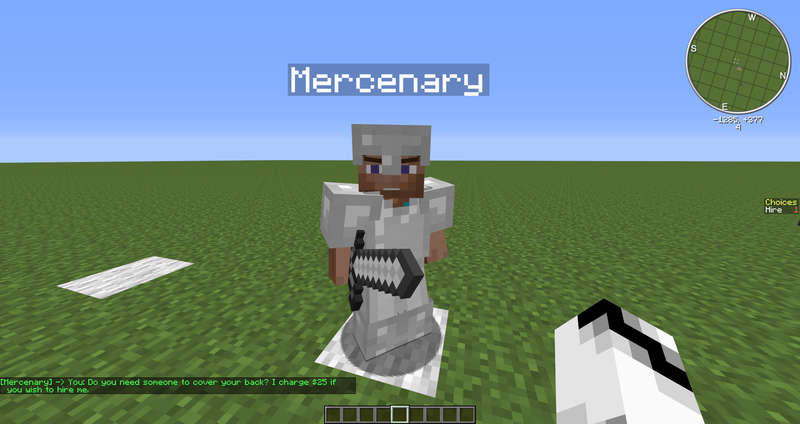 These will have tougher than usual mobs that may guard something special but will usually require multiple players to take on. Respawn timers would vary. Activities - Other than PvP Arenas we want to get some other events going on. This will include Mazes and races like on previous maps. We understand that we didn't finalize these events on this map and will strive to have them ready for release rather than later. 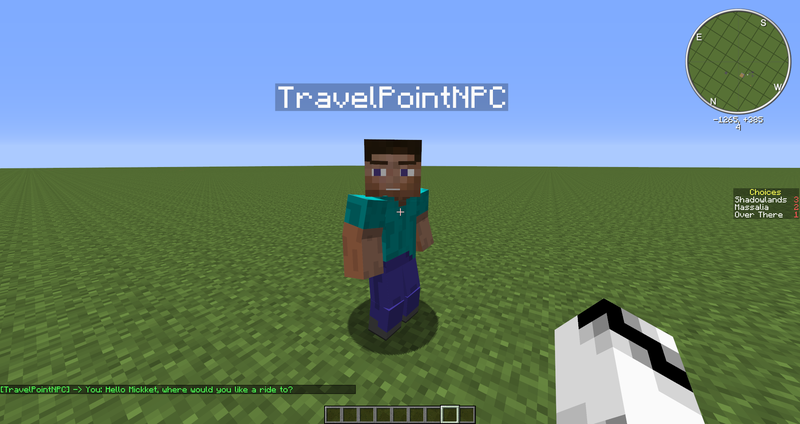 Themed Cities - The portals/teleport points will lead to themed cities in different areas of the world, acting as your local safe hub with stores. Stores/Shops - All cities will carry the basic stores (Cobble, dirt, etc) and each may have a specialty. Note that some monuments and other hidden towns will carry special vendors for rarer items. Some vendors may compete by paying more than others based on the city wealth (ie a town vs a city). 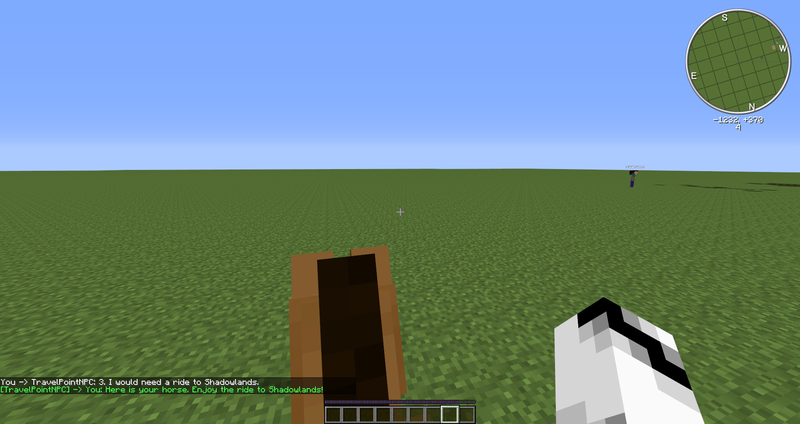 We have yet to decide what plugin we will use to proceed, if you have suggestions, please feel free to let us know! Hidden/Secret Shop - As usual, there will be hidden/secret shops. These shops will usually sell rare items and buy items at great prices. These shops are monitored and the more people who find them, the more expensive the sold items are and the less they buy rare items for. Some may also only be visible or open during certain times. New Rank: VIP+ - This has been suggested a few times and I think its time to seriously consider it. The problem with this rank is the lack of incentives. VIP's already donate so much that if we added new 'paid' benefits, we expect them to get it. It would be unfair otherwise. VIP+ would be for those looking to support us a bit more, you would garner an altered title on the server(s) and this feature is ONLY available as an upgrade from an existing VIP Account. Current estimated cost is $170.00 and will not give you anything but an additional title in-game. This will be a repeatable purchase. Each purchase will also include a TeamSpeak channel. If you have any suggestions for something that would be fair to award to this class of members, let us know below! I must reiterate that this feature will add absolutely NO EXTRA BENEFITS. Rare Loot - Ever Played Diablo? If you have you know how the randomly generated loot works. Different stats and names along with rarities. 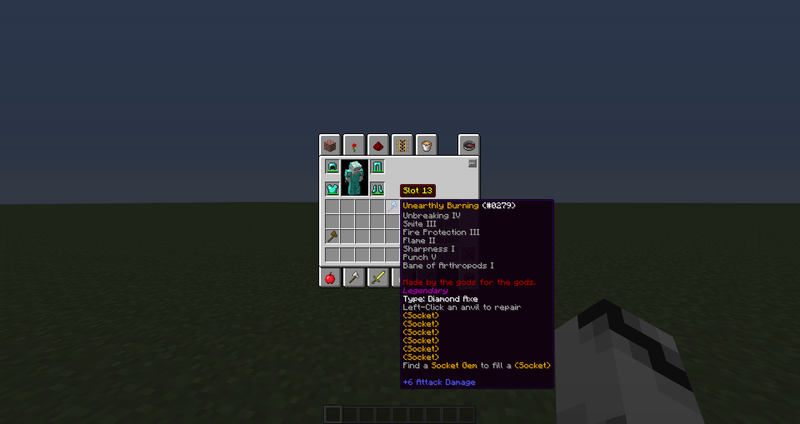 With a current potential of 28billion unique items, these will drop off of specific mobs. 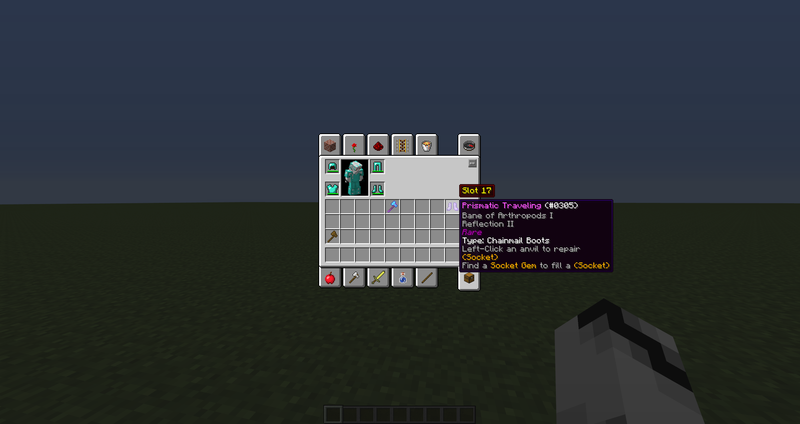 You WILL have to search for mobs that drop these items, normal mobs will not have a chance at dropping these items. 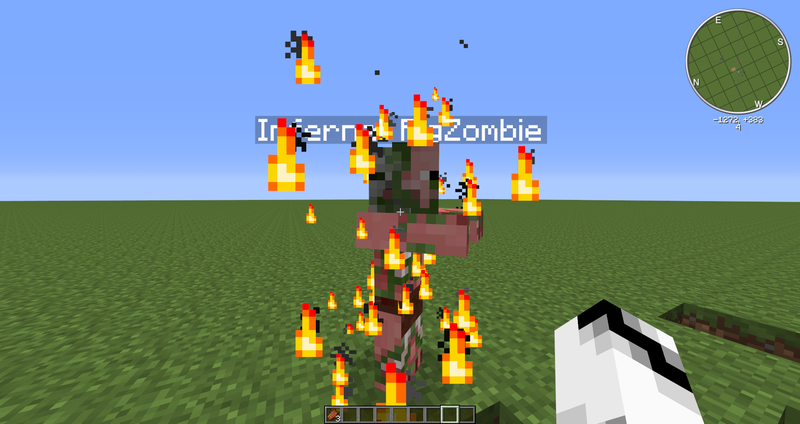 Blazing Mobs - A new type of mob that is randomly spawned amongst normal ones that is significantly harder to beat. Can be identified by the fire surrounding them. Report-a-Mod - If you legitimately believe a moderator has broken a rule, been rude to you or has harassed you/picked on you, you will be able to report the moderator. All reports will be posted via the forums upon the new server going live. These reports go to the management team and are handled carefully. All Moderator Reports are REQUIRED to have screenshot evidence. We are hopefully going to create a way to have the server timestamp on your screen for screenshots to allow you to better prove it. We don't want members feeling they are being picked on and we don't want moderators being picked on by griefers who don't like that they got caught. We want to place more focus on survival, we understand that it is a matter of time before any server is full of rich players who dont need to worry about going out with 20 creepers around. For this reason we want to make it harder so that the suspense feeling of mobs around the corner lasts longer. 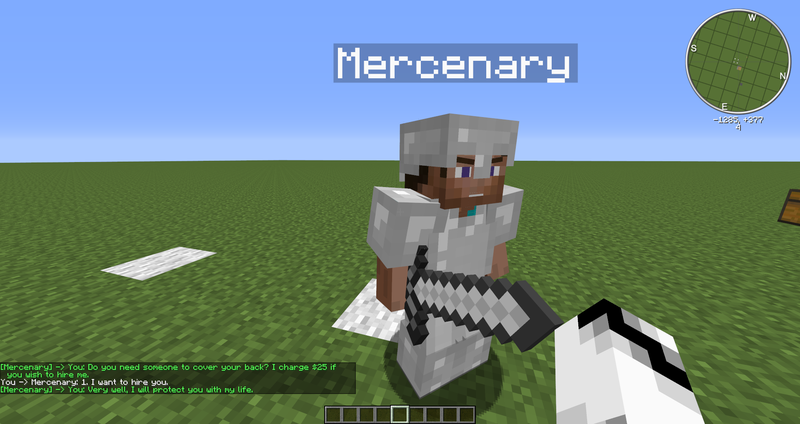 As you can see in the features section, there will be a lot more difficult mobs meaning you will NEED friends to help you to beat them. Part of this will obviously have to be difficulty, as the last map, it will be on the hardest setting from day 1. Creeper explosions add to the difficulty, but also ruin landscapes and buildings, so we are still not sure if we want to turn creeper explosions on or not. - Removing Teleportation to towns and other players. Towny Taxes will be disabled for either 7 or 14 days (TBD) While users adjust to the new map and get started. Because of taxes being off, rollback is being DISABLED and will not occur on town unclaim. In addition to the typical currency, we are hoping to integrate an item based currency called tokens (Subject to renaming) which will be able to be handed in to a special vendor for a large amount of money. Because the vendor amounts may change, either because the economy is inflated or another vendor offers more money, it is then up to the player to choose when/if to trade it in for the current value. Think of it like gold in real life. Why not just have the value of items fluctuate? There is a significant amount of time and effort to do this for each item, in addition it is obvious that people turn to using farms to collect too much iron or other items. For this reason we are either going to make these items worthless or not vendor-able at all. In the past we offered a server transfer feature for your home/build. Please keep in mind we are considering this, but at this stage have yet to decide on how to proceed. Must be based on LDShadowLady! No mentions of your own username nor Abyssal Gaming nor Staff names. It may be a statue of LD, if so please be very creative! Statues have been proven to become outdated fast! You may submit up to 2 entrants into the competition, double your chances of winning! Towny for self-claiming protection and permissions. LWC for chest protection and door protection. Something I missed? Have a suggestion? Let us know in a reply below! The first you won't like but it has to happen. Your inventory nor any chests or items of ANY KIND will be coming over. So have fun with them while they last. We will possibly run an apocolypse like normal, so feel free to gather and prepare your Diamond armor and Swords, although it usually doesn't help against my mighty horde of Withers. There will be a new rank available, exact details haven't been finalized. That is Builder. Builder's will be approached by management (You cannot apply for it) based on the quality of your builds as well as your community reputation. Builders will be involved in server builds whenever we are doing them (We hope to be more frequent) We are no longer taking applications for staff, much like builder we will be approaching trusted members with a positive community reputation. We ARE taking suggestions (Nothing is guaranteed), you may reply to this topic with a suggestion. All suggestions should follow the rules below. The date of the reset is not yet confirmed, we are currently working to build certain aspects of the new server before we set a date. Stay tuned. More information will follow once we finalize the features and details. Also stay tuned for this! First and foremost, serious suggestions only. Don't reply with "me too" responses, simply click the like button (Bottom right of posts) to add your support. Reply if you have your own suggestion or a similar but different one to an existing one. No debates or arguments in this topic. Tell your friends to come have their say also. We are remaining survival multiplayer, not creative. I noticed the LDShadowLady server has been going downhill lately and I really want to bring it back to life but I need your help. Every little thing you can do can make a HUGE difference. I have been playing on the server for 4+ years and it would break my heart to see it get shut down. I remember when it used to be packed with players and everyone was making towns and little shops. If you can please donate to the server or spread word!